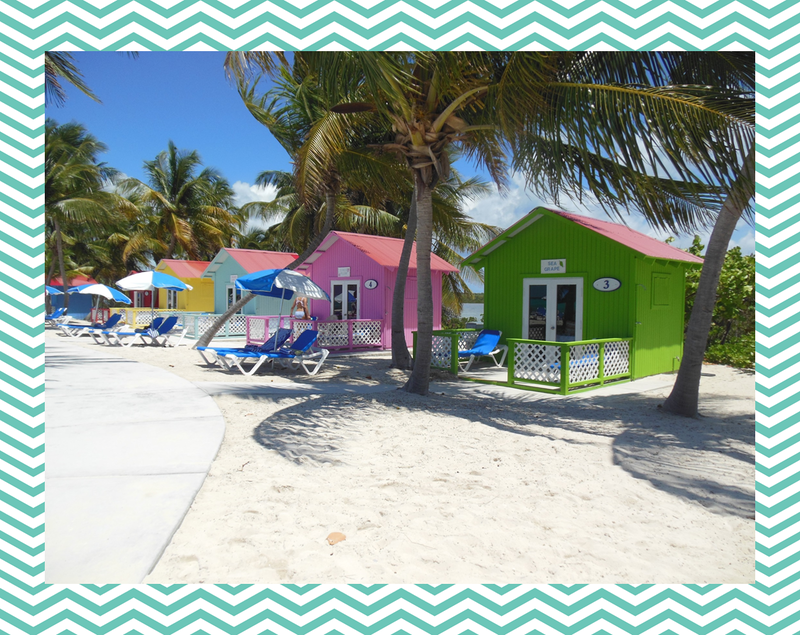 I'm linking up with Wordless Wednesday to share some pictures of my vacation. Feel free to stare as long as you need to on this dreary day! Raised Herb Garden: Anyone Can Do It! It took my husband and I 2 hours, 3.5 bags of potting soil and one trip to the nursery around the corner to outfit ourselves with a raised herb garden that I'll be happily using all summer long. I was amazed how easy it was, and we used materials we had just lying around the house! Top left: basil (adding another one), parsley, rosemary, sage, oregano. So how did we do it? Easy peasy! First, we gathered our materials with a trip to the nursery. I was somewhat conservative with the plants and seeds I bought, not knowing how far to space each plant. I'll be going back to add more after Spring Break. We started with pavers that were lying in our backyard from the previous owners. We could have used wood and made a box, but it was easy to stack these together. Our herb garden is in full sun. We moved and adjusted them, then propped up the pavers with loose bricks. We ended up adding a second paver to the far ends for support. The best part about using the pavers was we could move and adjust them for size and position. I decided they had to be centered under the garage window, and we had two small stumps to deal with. If you have a teensy yard, these could work for you as well. We filled in the paver outline with a layer of cardboard. We used a simple packing box and flattened it. Then we poured out two bags of topsoil and spread them evenly. I laid out the plants where I thought they would best fit, keeping the large leafy plants in the back. The middle of the garden is the shallowest, so we will either plant seeds or flowers there. We spread about a 1/3 of the last bag of topsoil over the plants once they had been settled. Watered, and done! I'm really happy with the way our garden came out. My neighbor gave us some chicken wire, but I ran out of time before Spring Break to put it up. Keep your fingers crossed that no bunnies come and eat the herbs while we're gone! Do you have a raised herb garden? Any tips for me? Shaving cream doesn't have to just be for shaving! Here's how we used it for review in my newcomer class. I called out a word (we were practicing number words here) and my students raced to write it in the shaving cream. 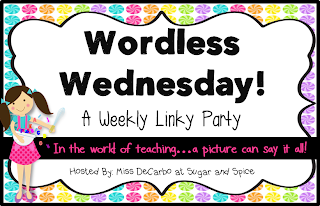 You can call out sight words, math facts, periodic table elements...whatever! Isn't this a great shot? My kiddo made a reversal mistake and was able to easily rectify with just a swipe of his hand. Tactical and practical! At the end of the lesson, just wipe it up with some paper towels. Easy and fun! I begin my unit by teaching/reviewing the months of the year. I was really shocked last year when I launched right into seasons and then found out my firsties didn't know the months. Uh oh. So we back-tracked! Now I make sure to start with it. We loooove this dance. 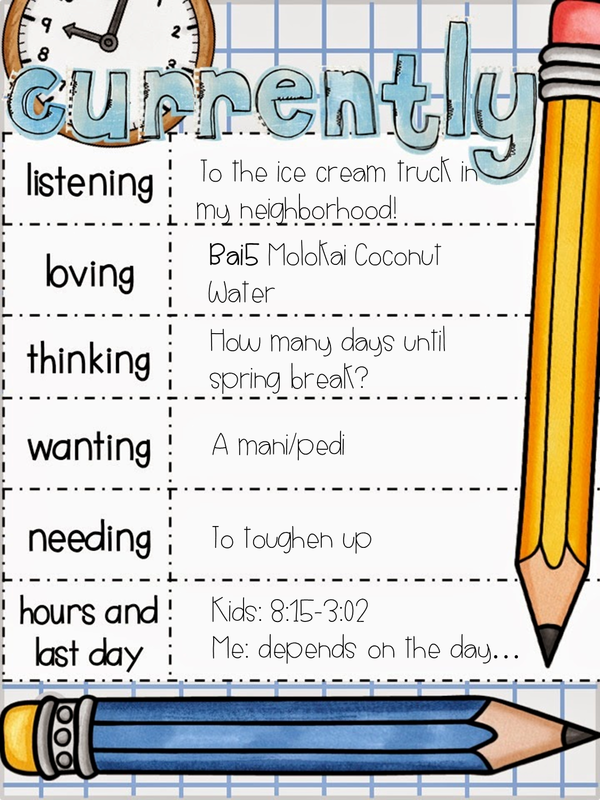 At the same time, I begin integrating a "Today's Weather Is..." during our morning meeting time. 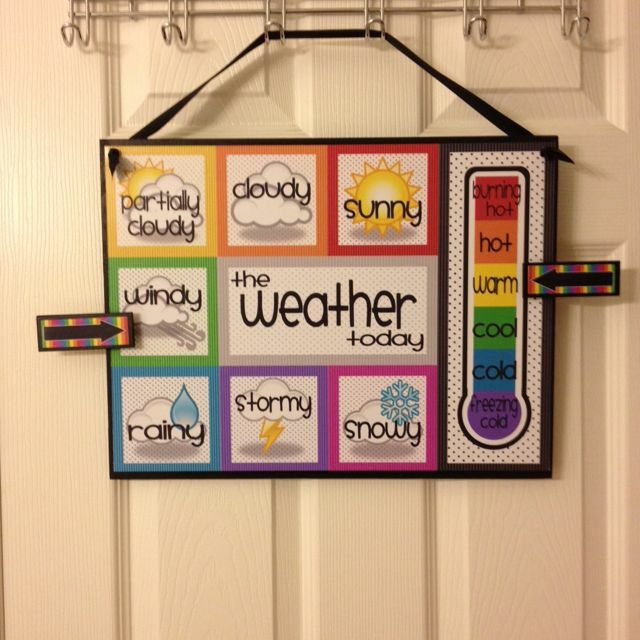 I have a poster that looks like the one below and I rotate students to do Class News and the weather each day. Next, I read Chicken Soup with Rice. 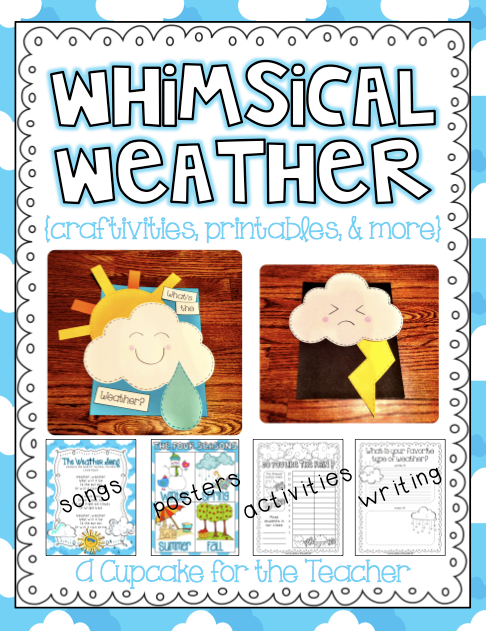 That book is so perfect for teaching months, seasons, and weather. It is also great for figurative language and understanding illustrations. My kids loved being able to shout out "chicken soup with rice!" at the end of every stanza. 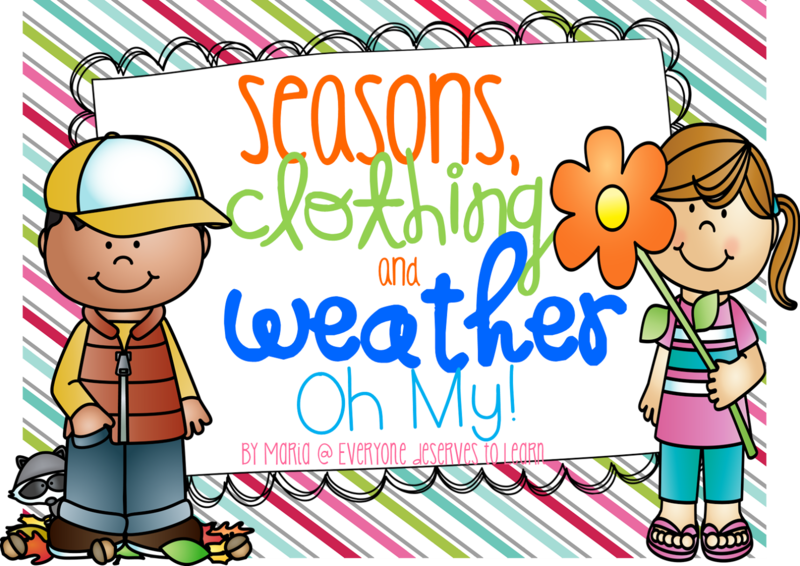 Following our read-aloud, I projected a poster from my Seasons, Clothing, and Weather (Oh My!) unit onto my whiteboard and we completed attempted a sort to match the seasons with their months. It didn't go so well. Here's how I know it didn't go so well: when I saw them struggling with the table sort, I had them do a walking sort instead, thinking that would be better. Nope. Lesson learned. It's ok to slow down and not rush the "what months are in the seasons" lesson. So, the next day, we reviewed the months and took it one season at a time. We did the sort over again a day later and had much much better results! In the meantime, we learned the Seasons Song from this packet, which is so perfect for my students. We also completed some of the writing prompts to tell about our favorite seasons and weather. To add to our study of the weather, we learned about some clothing vocabulary using one of the posters in my pack, then worked on the mini-book on the board. Students practiced sorting the appropriate clothes to wear for different weather situations. I spent a lot more time on this part of the unit last year- the group this year had a much more solid foundation in clothing vocabulary. I found this one in the morning while getting ready for the day. It was such a lucky find! My group loved it and it was perfectly paced for them. Definitely give it a go. This one is an interview with a meteorologist! So cool! 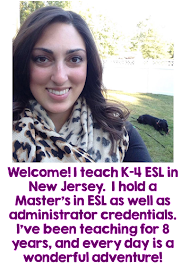 There are really great extension websites at the bottom that gave me a lot of great ideas for my students as well. Below are some other websites that were in heavy rotation in my classroom. To finish our unit, we did two culminating activities because I just couldn't choose! I had them put 5 or 6 drops of food coloring- it was cool to see the different strategies once they saw where their classmates placed theirs. They had the best time patiently waiting for the rain to fall. My fourth graders came in the next period and wanted to do the experiment too, so we did, just with a little more academic vocabulary and a little more scientific method thrown in. And finally, while waiting for our rain to fall, we made rainbows about our favorite seasons. They came out so cute! I've seen the rainbow name-bows all over the blogging world and finally had a good reason to make them. I love how they turned out! Summer is the best. I like the summer. I can ride my bike. I like to go in the pool. I can go to the park. I like summer. In summer I can ride bike. In summer I can swim. 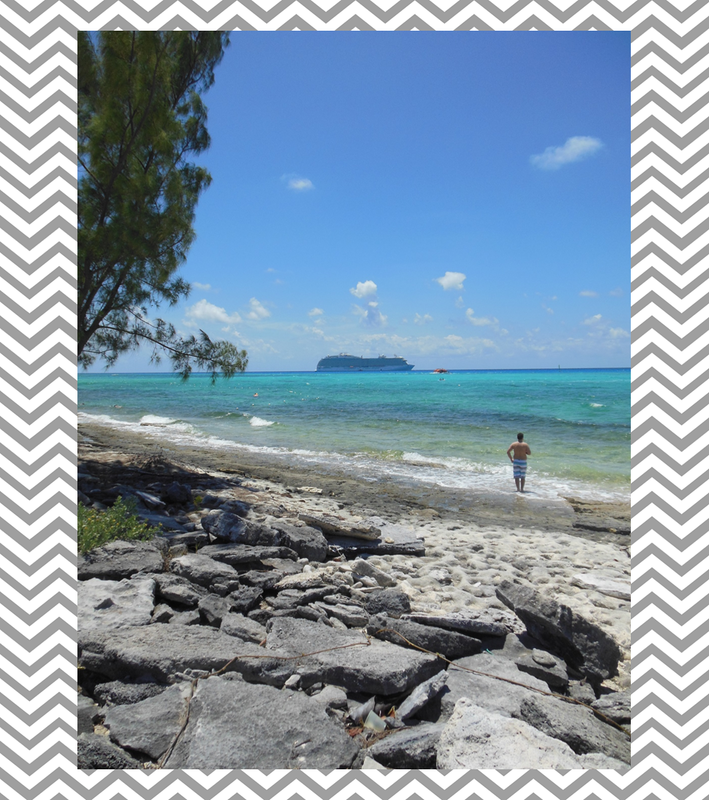 I like summer because I will go to the beach. The summer is my favorite season. That was one of my newcomers. He only learned cursive on Monday! He started with me in September...I cannot believe how far he has come. He is writing paragraphs and talking up a storm. I am constantly amazed by his drive and dedication. I put our rainbows out in the hall for everyone to see. I am so proud of my 1st graders- our Seasons, Clothing, and Weather uint was a success!! 1. The Mister Softee truck drove right in front of my house! At best, I carry $2 cash on me so there was no way I could get anything...which is probably a good thing! 3. 17 1/2. In case you were wondering. 4. Needing, actually...I did order some Jamberry from Charity Preston (The Organized Classroom Blog) but it's almost open toe shoe weather! My toes need some TLC! 6. Staff contract hours are 8:10-3:15. I have early morning meetings two days a week so I'm in at 6:45- if no meeting, I'm there by 7:25. I try and leave at 3:15 or 3:20 one or two days a week so I can go home and relax, but I have grad school one or two nights and homework club another afternoon...before you know it my afternoons are booked! What's on your mind? (Hmmm...I sound like Facebook!) Link up with Farley!